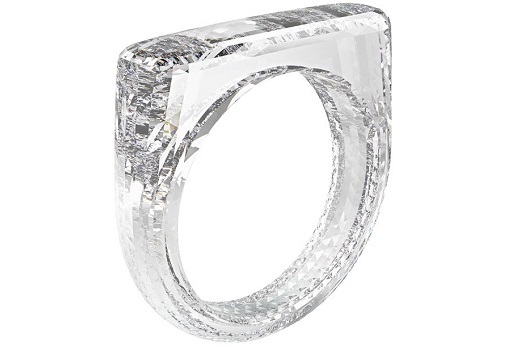 RAPAPORT... A ring made entirely from lab-grown diamond sold for $256,250 at Sotheby’s on Wednesday, beating its presale estimate. The ring doesn’t exist yet and doesn’t have a fixed carat weight, as Diamond Foundry, its manufacturer, will craft the piece to fit the wearer. It will contain no metal and is the creation of Apple chief design officer Sir Jony Ive and industrial designer Mark Newson. Sotheby’s originally valued it at $150,000 to $250,000. The finished ring will have between 2,000 and 3,000 facets when it’s complete. It sold as part of the third Sotheby’s (Red) auction, which musician Bono, artist Theaster Gates and architect Sir David Adjaye founded to support the fight against AIDS. The first edition took place in 2008 and the second in 2013. The auction also included artwork, sculptures, paintings and furniture, with total proceeds coming to $5.5 million.